Yesterday was a super fun day, shooting with one of my favourtie photographers with an amazing model. I woke up really early stressing about hair and make- up ideas (turns out, there was no need to stress the hair and make-up artist was prefect.) I love how the gorgeous Elin Kling tucks her hair into her poller neck, i looks super cool and completely effortless. 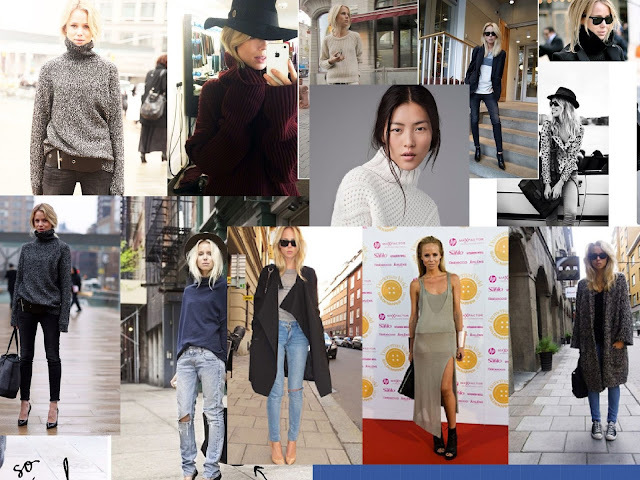 Naturally Elin became practically the only person on the hair moodboard, naturally we all want to be Swedish now.